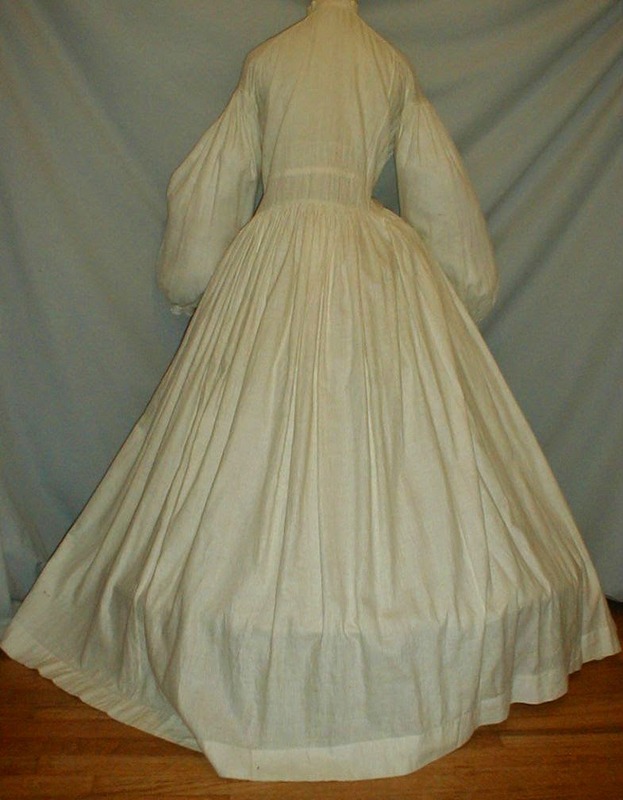 A charming 1860’s antique dimity cotton dress that has recently been e-accessioned from a museum collection. 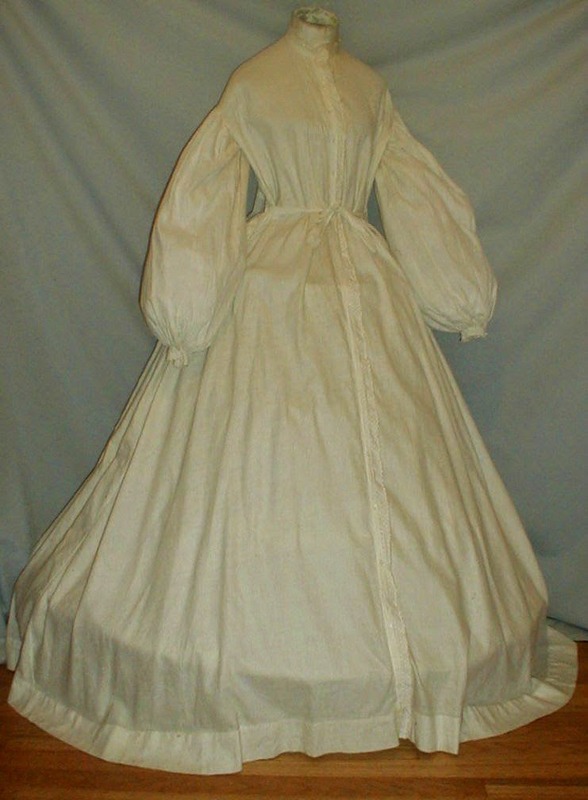 The cataloging and auction tag are attached to the dress. 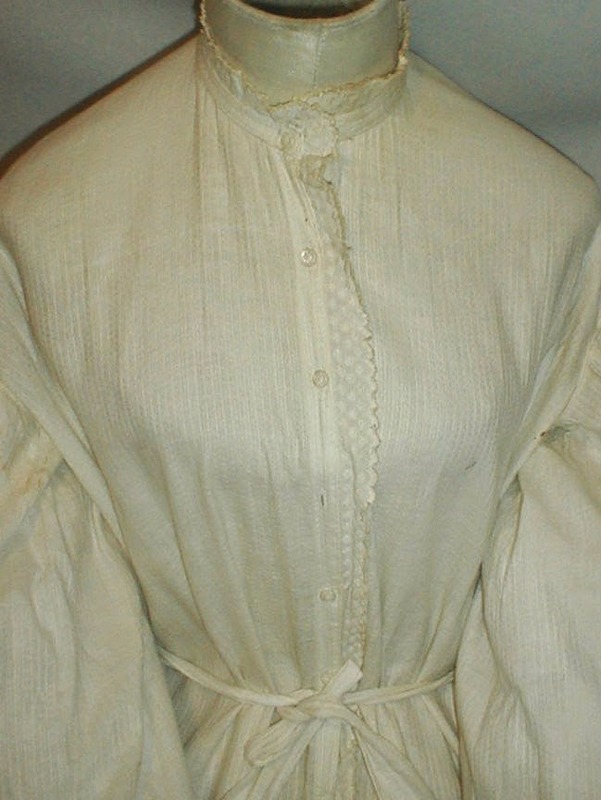 There is also a cataloging number stitched inside the neckline. The fabric has a small check pattern. The neckline, sleeve cuffs and front opening are decorated with white embroidered trim. The dress has a fitted back and a loose and adjustable tie front closure. The shoulders, armscyes and back wait are piped. 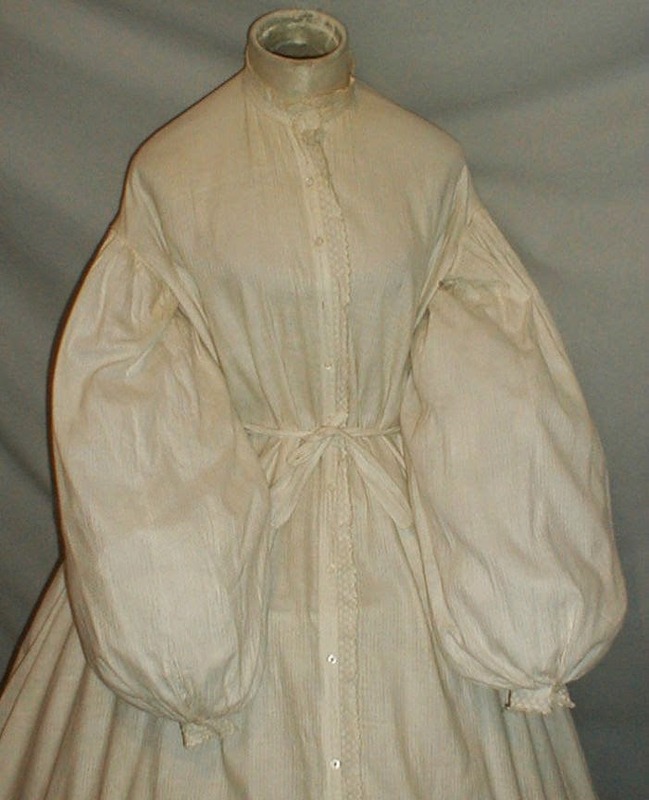 The bodice has full balloon styled sleeves. The dress has a front Dorset button closure. It is unlined. The dress is in very good and sturdy condition. There are a few scattered small age spots, light soiling around the neckline and one pea size hole under one arm. A pretty display only dress. Bust 38 Adjustable waist 44 Skirt length 43 Width at hemline 160. It looks like the waistline is longer than normal - perhaps for a taller lady? 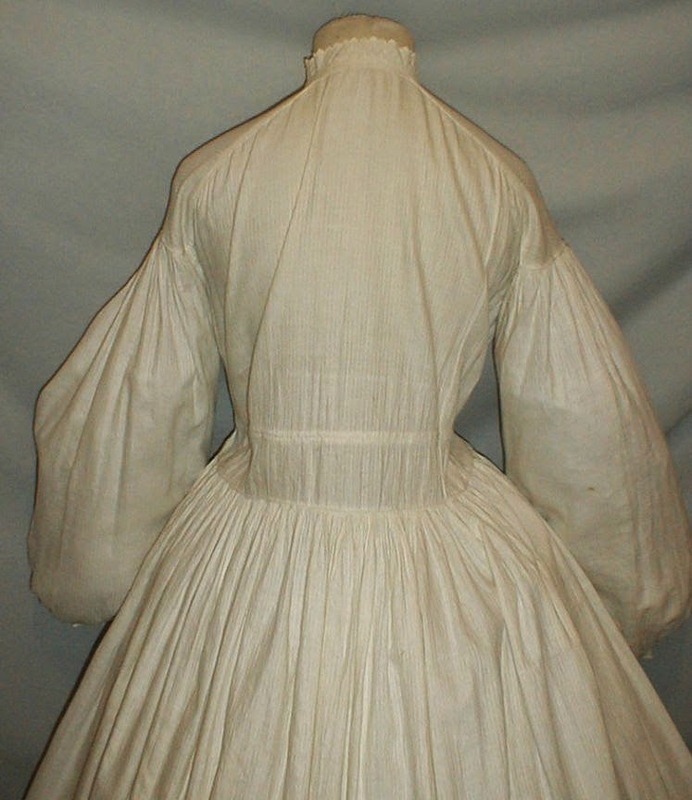 It does look long waisted, especially with the panel in back under a long yoke. It seems rather long all over. Glad it's not just me. :-) The skirt length is about an 1" longer than I expect for going over a normal hoop but there could be multiple reasons for that.